The first that come to mind are muscle-bound classic action heros Arnold Schwarzenegger and Sylvester Stallone. 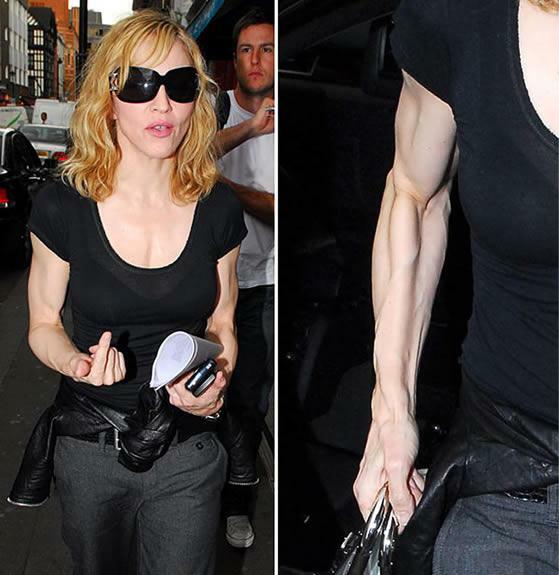 But they are many other "less evident" or not so less evident (The Rock) Hollywood stars who are on steroids. 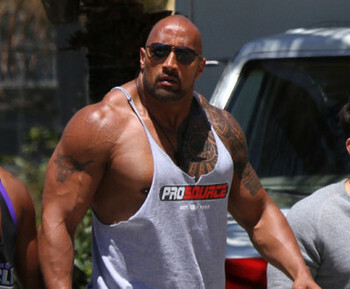 Dwayne "The Rock" Johnson is more jacked than a IFBB pro bodybuilder. Don't tell me he isn't on steroids!! Appearance is everything in cinema and Hollywood. Take the case of Baywatch Jeremy Jackson. To add 40 pounds of lean muscle to his scawny frame, he abuse testosterone, human growth hormone, insulin, and a drug reserved for pre-slaughter cattle. He became obsessed by Performance-Enhancing Drugs and his training routine and thought about nothing else. His steroid addiction landed him in "Dr. Drew's Celebrity Rehab". Many celebrities are known or rumored users of hormone-replacement (anti-aging) treatments which are very popular in Hollywood. Madonna, Johnny Halliday, Mickey Rourke, Sylvester Stallone, Chuck Norris, Nick Nolte, and even movie director Oliver Stone. 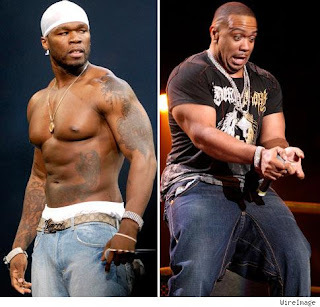 In 2008, a mega steroid trafficking scandal involving 50 Cent, Mary J. Blige, Timbaland, Wyclef Jean and Tyler Perry as clients. Give credit to Danny Bonaduce. He is one of the only celebrity who is open about his steroid use. Charlie Sheen for his movie Major League, Dolph Lundgren aka Ivan Drago while filming Rocky IV, the always frank and direct Danny Bonaduce injected himself on camera, Hulk Hogan, Arnold Schwarzenegger, and probably many more. 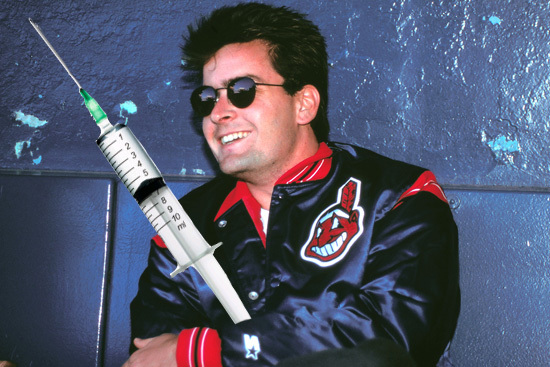 Steroids sounds logical for Charlie Sheen. ﻿﻿Rumored steroids users are Davis Hasselhoff - during the Baywatch era -, the ugly and boring Carrot Top with his canonball oil-enhanced shoulders, Mickey Rourke, humongously freaky big and cut Dwayne "The Rock" Johnson, and surely much more.